As the world progresses at rapid speed, there is something comforting about a place like Lettuce Cook. Serving up health-driven, gourmet menu items, this down-home Fort Worth venue has quickly become a staple in the developing River District of Fort Worth. 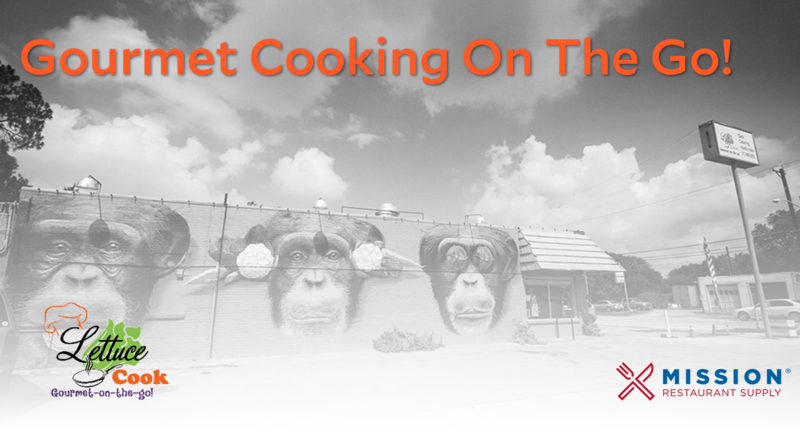 Outside Lettuce Cook, the playful monkey mural has become one of the city’s most popular social media backdrops. 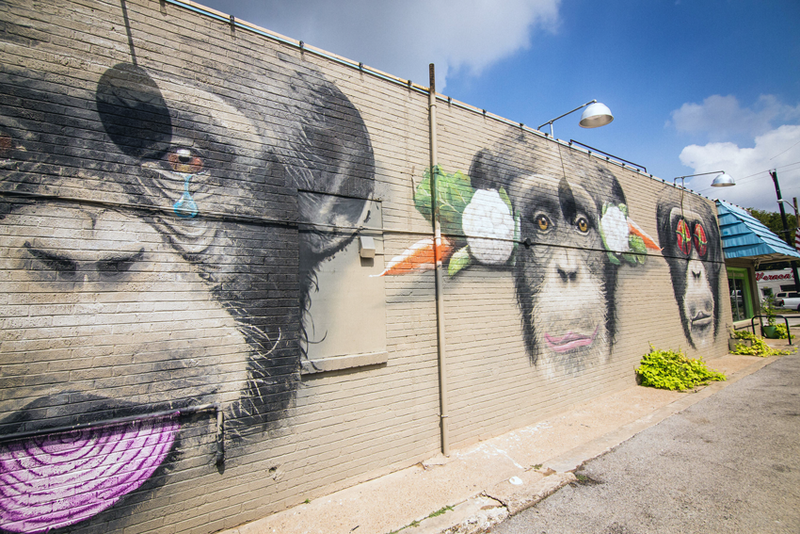 From the outside, a painted mural of expressive monkeys posing with vibrant-colored vegetables has become one of Cow Town’s most popular destinations for social media check-ins. Inside, the small space invites with its charming design, much of which was executed by Chef and proprietor Todd Brown along with his wife, Natalie. In fact, the entire space feels family-driven, seamlessly rustic, and delightfully organic. Todd and Natalie Brown are the proprietors of Lettuce Cook. Previously a caterer, Brown laid all the floors of the restaurant himself, in addition to hand-crafting other details, such as the penny-counters that face the street-front windows and the handsome napkin holders, made from reclaimed wood bits. On the walls hang black chalkboards, displaying the day’s specials. Vintage cake stands show off fresh-baked goods while fruit baskets pile high with bright green jalapeños, limes, and bulbous summer tomatoes. Packaged pastas and fine sea salts are but a few of the items for sale next to a vintage, purple Toledo scale loaded with lemons. Along the registry area, glass merchandisers show off the day’s fresh-made, heart-healthy preparations, from cauliflower salad to grilled salmon, and a slew of vegan and gluten-free menu options. 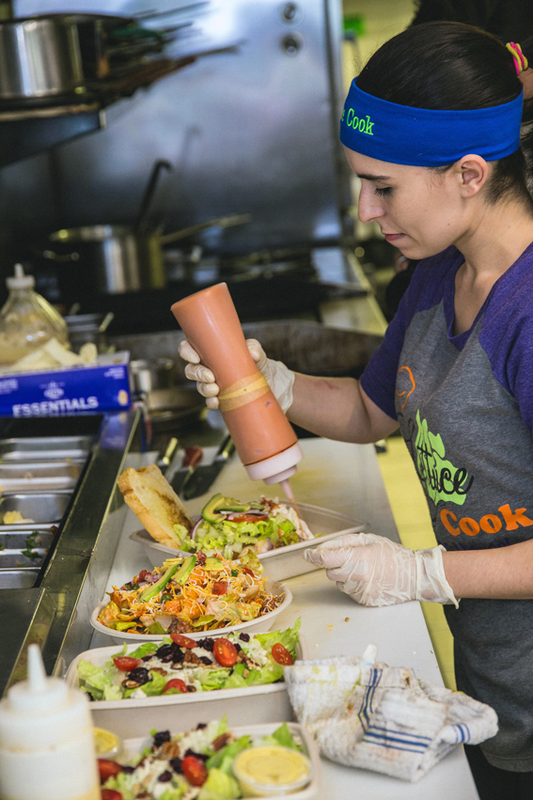 A team member puts the finishing touches on a line-up of healthy, hearty lunch specials. Lettuce Cook is a real neighborhood store, a place that exudes a bygone familiarity. Todd and Natalie Brown pride themselves on knowing their patrons on a first name basis—not to mention their regular orders and dietary specifications. 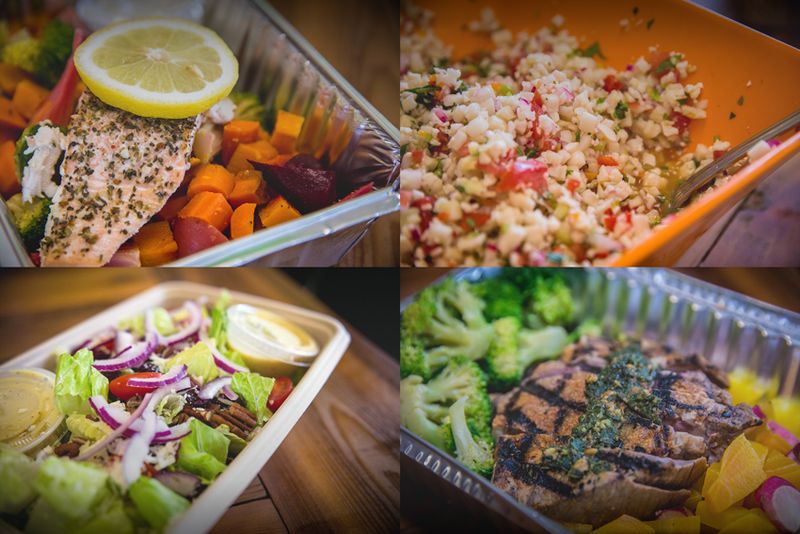 Though it has quickly become a Fort Worth favorite for fresh-prepared grab-n’-go food, Lettuce Cook also offers bespoke meal-planning options, curbside pick-up, and customized event catering. Furthermore, as the surrounding neighborhood continues to grow, the Browns find new ways to innovate and expand their stake in the market. Neighboring Lettuce Cook, a 700-unit apartment complex is rising with rapid speed. Ever the entrepreneur, Todd and his team have worked out a breakfast-in-bed service for this housing unit that is sure to please its future residents. At the end of the day, this clever expansion and innovation goes back to the chef’s innate love for what he does. The small yet efficient back of the house at Lettuce Cook. “I’ve always loved cooking, just the pace of it, the change of it, nothing is the same,” he said, adding, “Every day there is something different.” Our Fort Worth team at Mission Restaurant Supply has been honored to call Chef Brown a partner for years. “Everything I got was from Mission and I love every last piece of equipment,” he said. 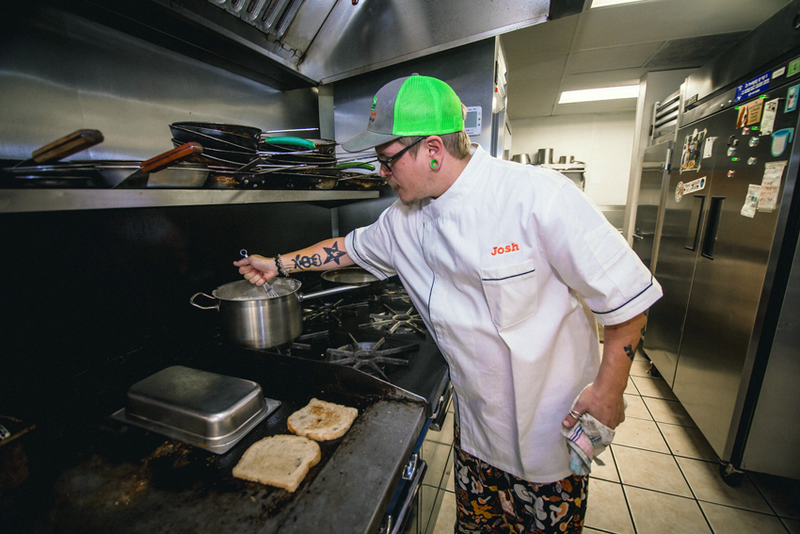 Whether it is a 6-burner range, ovens, glass door reach-in refrigeration, dough mixers for fresh bread, or something in between, our goal has been to equip Todd and his team with the tools he needs to succeed in the workplace. “You guys have got every single thing I’ve ever needed,” he said adding, “I’ll never leave. The little things go a long way—it’s why I keep coming back.” Thank you Todd and Natalie for your steady partnership over the years! 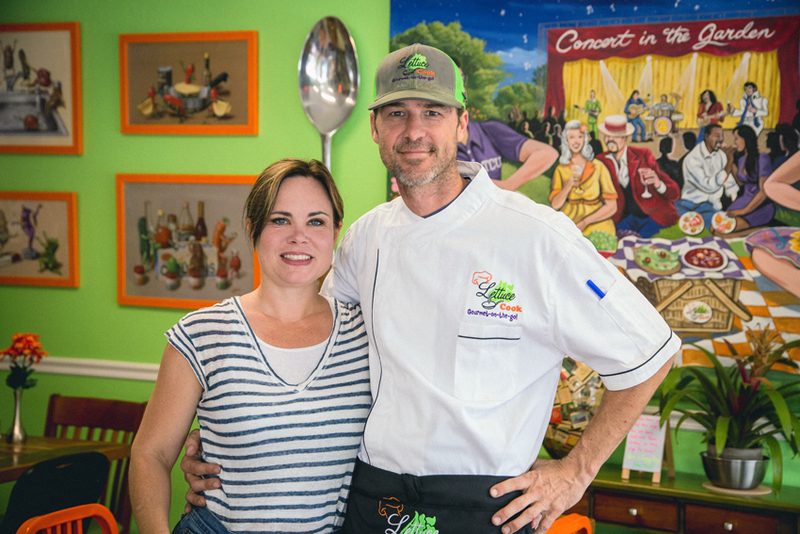 If you are in the Fort Worth area, swing by Lettuce Cook for clean, gourmet cooking and be sure to say hello to Chef Brown and Natalie—two of Texas’ most talented and friendly restaurateurs. A medley of heart-healthy menu options at the restaurant.